Every kid waiting, when winter comes. And often this desire is not due to the snowfall and cold weather, and with the onset of the holiday “New Year!”. And the truth, This highly anticipated event. If many adults are New Year, as an ordinary holiday, the kids always expect miracles and the fulfillment of dreams. 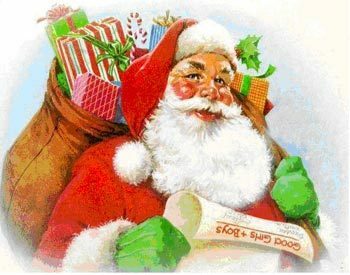 In this regard, and this article was written, It discusses how to write a letter to Santa Claus for free, that we need, and also consider small subtleties, for which it is necessary to pay attention. Worth a visit specialized site about New Year – how to meet, What to gift, Vacation Destinations, New ideas Activity holiday and more. This article will help more parents, than children. In addition, not all kids have already learned to read and write. At first glance, writing a letter is a very simple task, which does not cause difficulty in any of the adult. But when comes the turn to act, Many simply do not know, how to behave with children, what to write, which features to look for. To begin to determine the shape and structure of the letter. The premeditated, what you want. To this end, it is desirable to sit down with your child and talk specifically on this topic. Very important, the baby was actively involved in writing a letter, after all this is done for him. It is important to guide the child, help him choose a gift, push it, but do not do it aggressively and harshly. To do this, you can ask leading questions, remember previous desires, etc.. Let the kid a little dream, Unleash his feelings. At this time you need to produce records, so as not to forget anything. Another important factor is the financial position of the parent, after all, they will have to pay “Santa Claus”. If you have a small problem, easy to help your child in the decision, move it to a less expensive gifts. Make it so, that he was satisfied with a hundred percent. After that, how do you decide with a gift, should pay attention to the boy. Describe it in a letter, tell me about all the good deeds, that he did. Important, the child himself dictated the text you, and you just have to ask leading questions. by the way, It can be a little hint to the child, that he made a similar list for next year. The main thing to do is not intrusive. Now, when he is ready to draft, and highlights negotiated, you can move on to writing the letter itself. Try to write a letter to the volume, that baby is a little developed. You can do this on the pretext, Grandpa Frost interesting to read only the large letters. We dealt with the, how to write a letter to Santa Claus, now it is important to know where to send it. There are several ways, Parents who use. Simplest, This left a letter under the Christmas tree for the night and to send a child to sleep. At night you need to get the envelope and hide, and in the morning tell the child, that Santa Claus took his letter. There is a more sophisticated version. To do this you will need to buy an envelope and place it, as it should be. Next, pretend, that went to send a letter elves, then hide it. 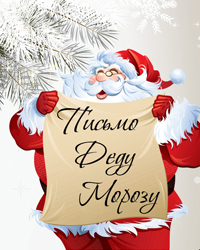 You can also leave your message on a special website, which can be found for a given query in a search engine “to Send a letter to Santa Claus”. Click on the appropriate link and fill out the required fields. This method is good, that send a letter, you can chat with your child. Now you know, how to write and send a letter to Santa Claus.